SKU: 24213. Categories: Automotive, Metal, Threadlockers. 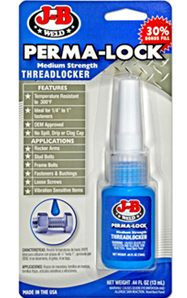 Clean all threads (bolt and hole) with a cleaning solvent. Shake the product thoroughly before use.